My five year old daughter the other night asked whether the olden days were in black and white. I think we may have all had that moment as children, our only links with the past being the old black and white photographs we peered at curiously. Well sifting through some old things at my parents the other day, I came across this drawing I did as a teen, and was reminded of my reasons for drawing it. I wanted to bring to life an old black and white photograph of a Richmond v Fitzroy match from 1922, with captain Dan Minogue taking a mark in outstretched arms. Whilst I’m not particularly pleased with the ‘trees of Yarra Park’ (I clearly had lost interest by this point, a common theme with myself and drawings) I made amends, in my mind at least, with the detail on the old grandstand, when my interest in the project was clearly at a peak. Below is the original snap, photographer unknown. 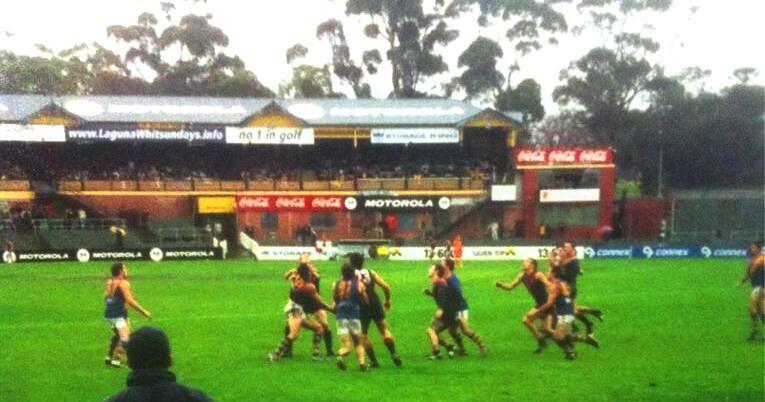 The result that day was Richmond 5.10.40 to Fitzroy 3.14.32, an aggregate of 8.24! Perhaps goalkicking accuracy isn’t so bad these days. Richmond having won the previous two VFL flags, and Fitzroy claiming their 7th later this year, it was fair to say the two clubs were a big deal at the time! Note: The grandstand…since renamed the Jack Dyer Stand, was opened in 1914, with a substantial addition in 1927. 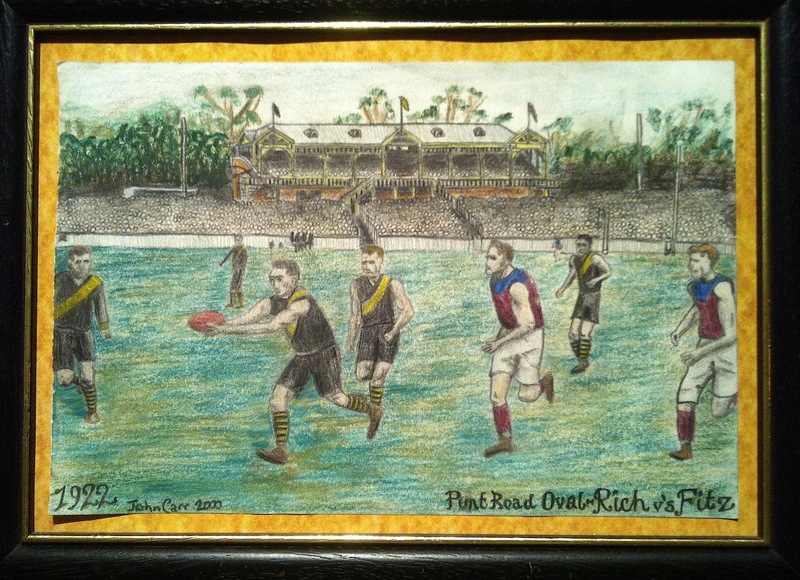 And Tiger fans…look out for my upcoming post on the Punt Road Oval! The more recent photo shows where the stand extenstion begins to the left.